Everything LEGO Mixels series 6 reviewed! While I've been pumping out tons of LEGO Dimensions content since that's new & hot and there's so much of it to cover, I've continued releasing videos on other topics as well, including the latest series 6 Mixels featuring two new tribes and a revisit of another. LEGO Mixels Series 6 Munchos review! Vaka-Waka, Snax & Berp! LEGO Mixels series 6 Weldos review! Forx, Kramm & Wuzzo! 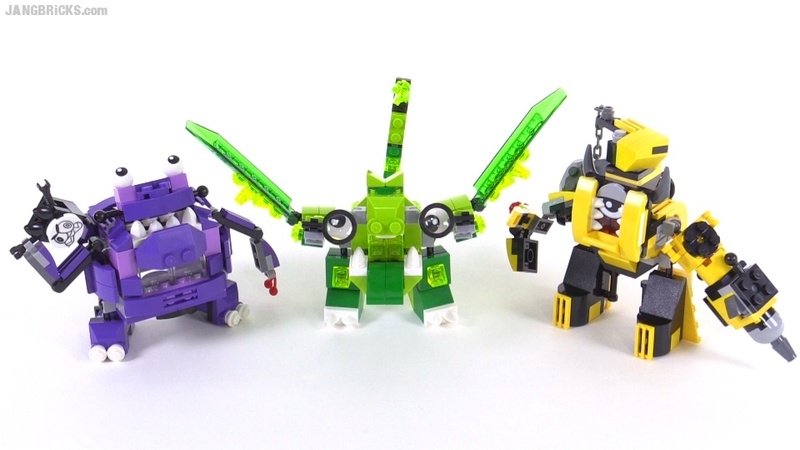 LEGO Mixels series 6 Glorp Corp review! Gurggle, Slusho, Dribbal! Most people probably know this, but I just figured out that you're the same guy that used to do those awesome RC videos on "See Video Description!" youtube channel! :) Awesome to see you keeping scale things in your life man :) Keep up the awesome videos and work!